Hi ladies! Happy Tuesday. I’m sharing an outfit that I looooove because not only is it super comfy, it’s pretty trendy and festive too! This Old Navy boyfriend plaid top is the perfect fit and I adore how it’s longer than an average button up. It also comes in black and white, and remember – plaid never goes out of style so you can re-wear it each Fall/Winter! I am wearing a size Medium because I like a looser fit in my button-ups! Also, if you’re a nursing mama, button-ups are your best friend! My cute black leggings are from 9Fifteen, an amazing way to shop directly from your phone. Whether you’re at work on your lunch break, nursing your little one, or even on a date night (haha) you can literally shop simultaneously! All you do is sign up for 9Fifteen, then follow them on Instagram, and when you see a piece you adore, and can’t live without (which happens pretty often, not going to lie) you can simply comment with your size and it’ll be shipped to you right away after you pay the invoice! So easy, and so unique. 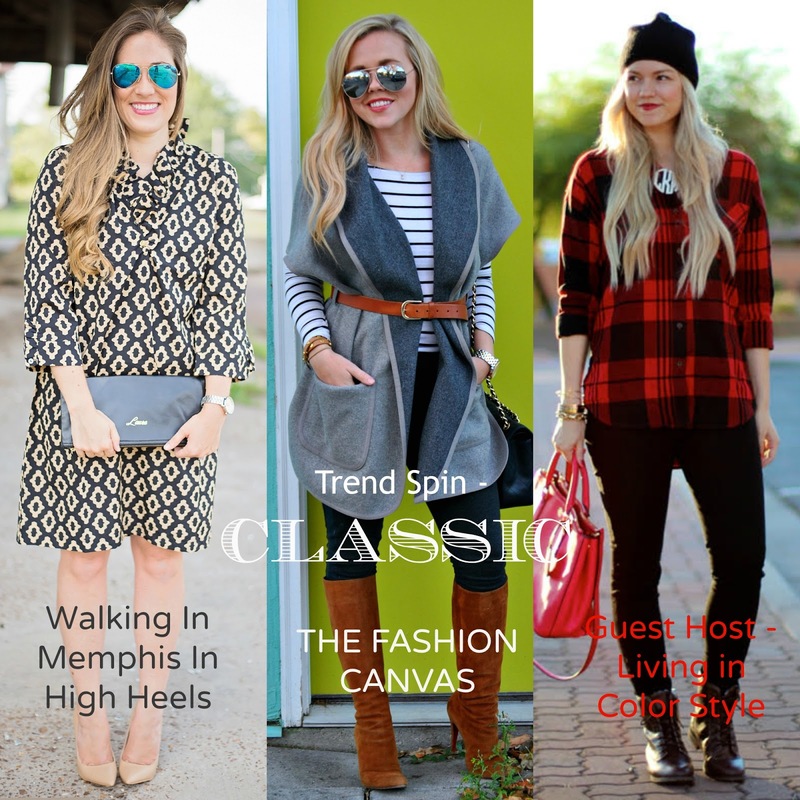 Lastly, today I’m co-hosting the Trend Spin Link Up with two of my sweet blogger friends, Erin of The Fashion Canvas, and Laura of Walking in Memphis in High Heels. I adore these lovely ladies, so be sure to check out their blogs and outfit details for this week’s trend: classic style! Click after the break to link-up with us! Gorgeousness!! You're totally rocking this casual outfit! 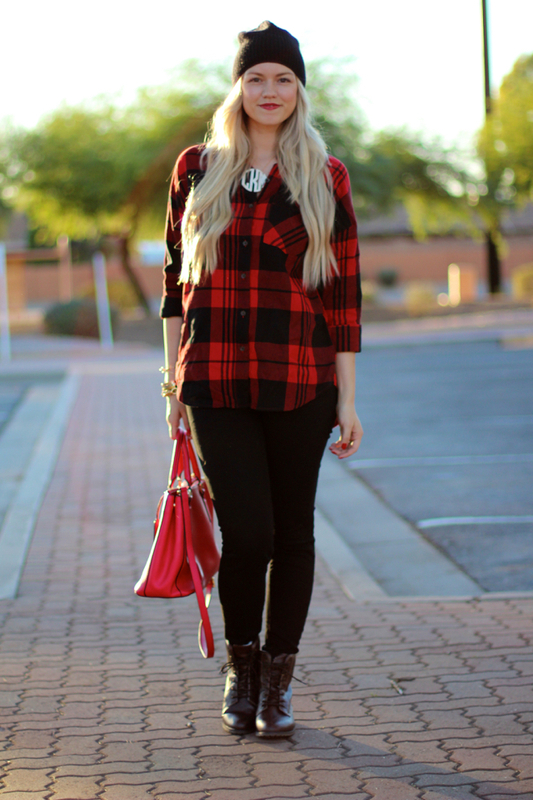 This black and red plaid is indeed a classic piece! 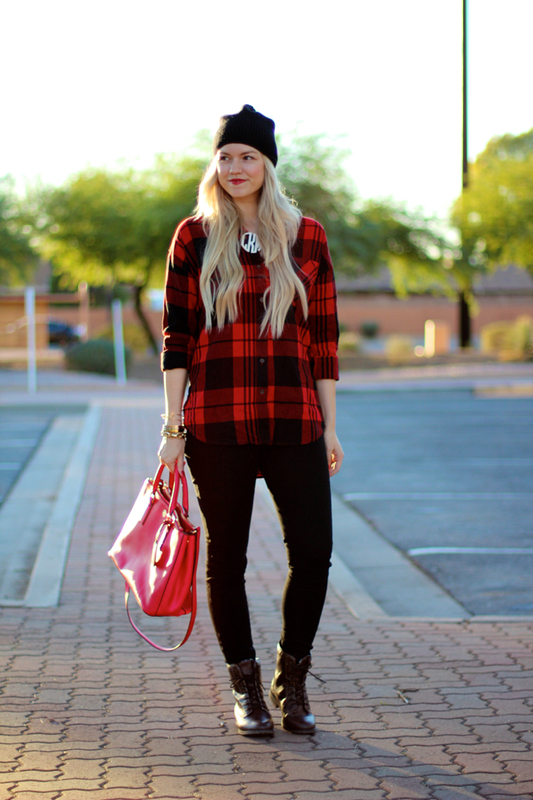 Your plaid is adorable and I love how you paired it with a beanie. So chic!